A box of rare daisies dating back to the mid 19th century has been destroyed by Australian biosecurity officials after a paperwork mix-up. Upsettingly, it’s the second such incident to happen in Australia in recent months. As reported by ABC News, the pressed plant samples were shipped from the National Museum of Natural History in Paris to Queensland’s herbarium in Brisbane. 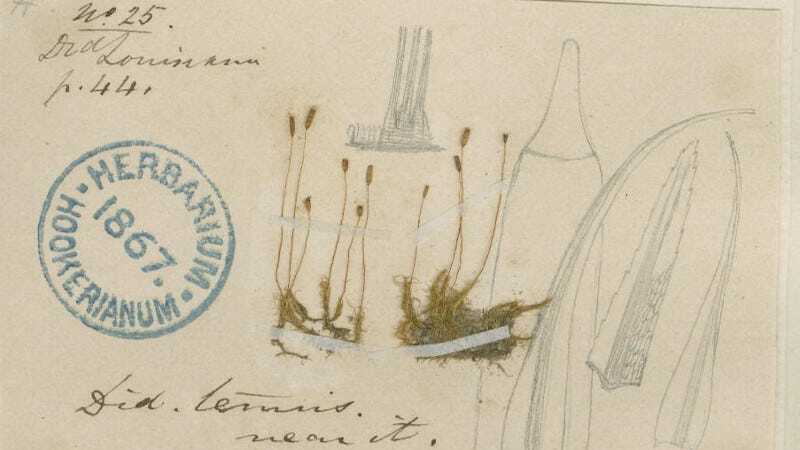 It’s common practice for museums and herbariums to swap material to help identify and study rare plant species—in this case, daisies that date back to the 1850s. (The species in question was not disclosed.) But in a strange and impulsive move, the Australian biosecurity officials handling the case took it upon themselves to incinerate the entire collection, saying the shipping documents were filled out incorrectly. Australian quarantine officials are now investigating the incident, which happened back in March. Upsettingly, it’s the second similar incident to happen in Australia in a matter of weeks. Recently, a collection of lichen specimens from New Zealand’s Allan Herbarium en route to the Australian National Herbarium in Canberra was also destroyed by biosecurity officers. In response, New Zealand’s herbaria have instituted a ban on sending any more plant specimens to Australia, Waycott told ABC News. In the case of the rare daisies, Australian biosecurity officials said the paperwork failed to meet Australian import requirements, and was missing information such as a listing of the specimens, botanical nomenclature, and whether the specimens were preserved or not. Officials made a request to the French museum for more information, but for some inexplicable reason, the collection was incinerated before the museum had a chance to respond. The Federal Department of Agriculture and Water Resources (FDAWR), which controls Australian biosecurity, said the collection was held for 46 days longer than required, but admitted the plants shouldn’t have been destroyed. “[The] destruction of the specimens should not have proceeded while communication between the department and the intended recipient was ongoing,” noted the department in a statement. Pressed flowers may not seem like an environmental risk, but Australia, with its history of invasive species, is hypersensitive when it comes to importing biological materials. The FDAWR says herbarium specimens “are not without biosecurity risk,” citing such as concerns as the introduction of contaminated soil containing pests and diseases. Risk or no, it’s definitely a frustrating incident. Makes you wonder what the biosecurity officials were thinking—and why they simply didn’t do the right thing: return to sender. King Tut&apos;s Burial Mask Has Been "Irreversibly Damaged"